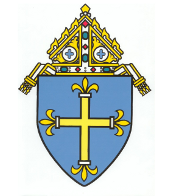 As part of the Diocese of Duluth’s ongoing efforts to foster safe environments for children and young people, Bishop Paul D. Sirba released on Dec. 31, 2013, information about clergy members who have been credibly accused of sexual abuse of young persons while serving or residing in the Duluth Diocese. Included in the release are clergy members who served as diocesan priests as well as clergy from other dioceses or religious orders who at one time worked or resided in the Duluth Diocese. Despite our best efforts to make sure our information is accurate and complete, we know that it may include errors or be incomplete. We ask that anyone who believes they have information about any instance of child sexual abuse involving any member of the clergy to contact their local law enforcement and the diocese or a diocesan assistance coordinator.